There’s no doubt about it: travel can be romantic. 1.Venice, Italy – if romance has an ideal backdrop, this is it. Venice seems to emit a romantic energy. No wonder it is known as the City of Honeymoons. 2. Crete, Greece – what a wonderful island. Rugged scenery, friendly people, wonderful food and an amazing culture. 3. Lattari Mountain villages, Campania, Italy – within sight of the Amalfi coastline, yet a land lost in time. These villages spell out romance with a capital ‘R’. 4. Schafberg Mountain, Austria – rising up from the waters of the Wolfgangsee, this mountain takes you to a land above the clouds. In season, catch the Schafbergbahn train to the top and behold the Hotel Schafbergspitze on its snowy peak. 6. The Gower, southern Wales – a misty and mystic wonderland of green lowlands, rocky peaks, beaches, ancient castles and standing stones, the Gower is good for the soul. 7. Lake Bled, Slovenia – commonly described as one of the most beautiful places on earth, Bled has all the ingredients for a romantic stay. Simply stunning!! 9. Athens, Greece – the ancient wonders of this captivating city are matched by the warmth of its people, the superb food and the excitement of the bubbling metropolis. 10. Rome, Italy – the Eternal City spells romance and excitement at every turn. 11. Niagara Falls, USA – another honeymoon favourite for a reason. There’s something about Mother Nature at her grandest. 12. London, United Kingdom – the ‘Capital of Capitals’ has an appeal that must be experienced to be fully understood. We defy anyone to step off the plane at Heathrow and not feel immediately that the city is special indeed. 13. Prague, Czech Republic – a cobblestone wonder that is as romantic as you will find anywhere. 14. The Isle of Capri, Italy – every visit to this emerald island will feel like falling in love. 15. Utah’s national parks – The Coyote Buttes – and who didn’t love cowboy movies? 16. Scotland, United Kingdom – a rugged landscape, where the air is crisp and the whiskey is smooth. 18. Copenhagen, Denmark – the dock of the bay at Nyhaven, one of the many charming highlights of this elegant and friendly city. 19. The Dolomites, Italy – this limestone mountain range in north-eastern Italy is a favourite with the ski crowd, but its beautiful, rugged landscape is dotted with romantic cabins where solitude comes free of charge. 20. The North Coast of Cornwall, United Kingdom – scenery to die for. It started with an awkward moment but, in the end, we wanted to stay forever. The heart of Cabrils is as modern as the lines of sleek motor scooters patiently awaiting the return of their owners. Yet this beautiful settlement in the hills north of Barcelona, retains much of feel of an ancient village. Old stone buildings, tree-lined streets and flower gardens sit easily alongside the restaurants, cafes, villas and shops of modern Catalonia. 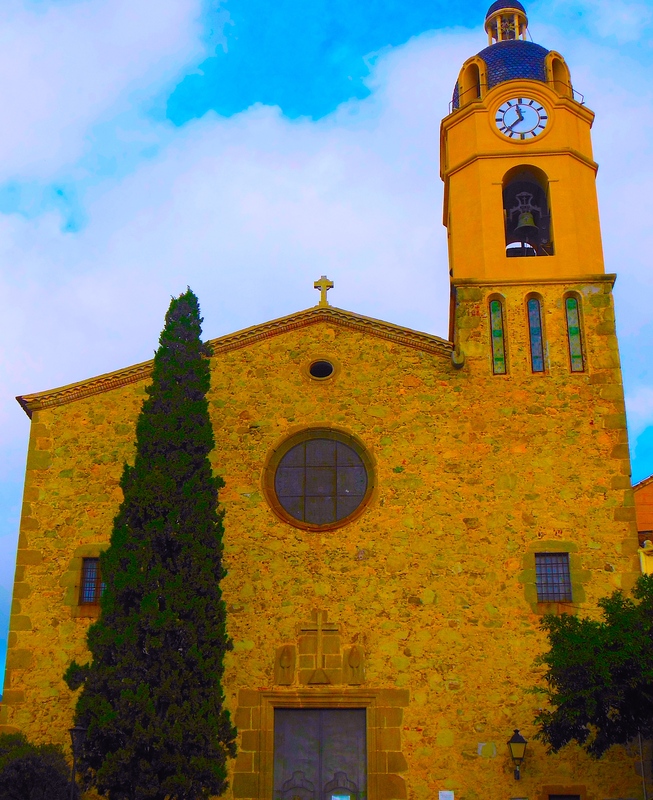 The indistinct chatter of everyday Spanish life provides a rich soundtrack, complemented occasionally by bells tolling in the local Santa Creu church, which means ‘Holy Cross’ in Catalan. Cabrils is a delightful area, nestled in the forested hills of Cirers and Montcabrer, amid the slopes of Catalonia, with sweeping views along the Mediterranean Sea toward Barcelona. The village dates to at least 1037 and is every bit a traditional Spanish settlement, sympathetically mixed with modern housing developments along the few kilometres to the sea at Villassar de Mar. 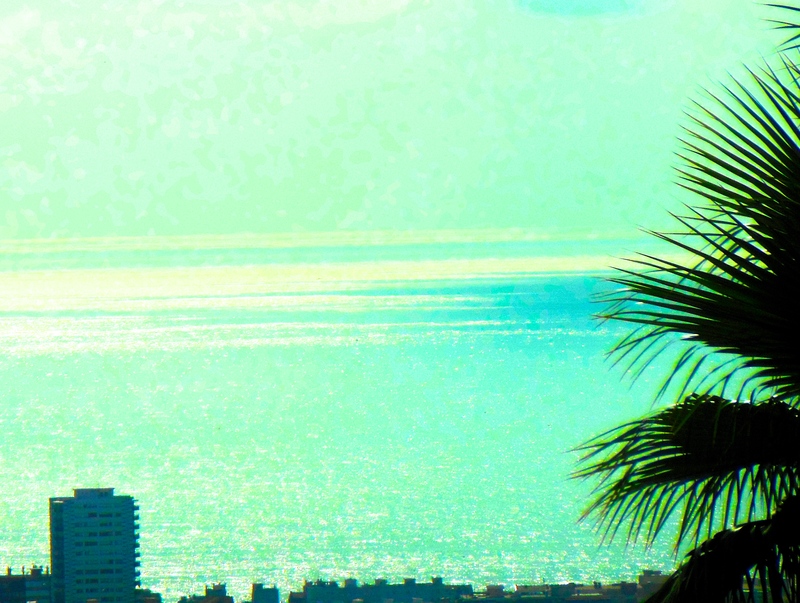 Much has been said about the so-called concrete line of hotels, apartments, bars, clubs and restaurants that run along parts of the Catalonian coastline. But all visitors need do is move a little further inland to find beautiful green hills, valleys and woods joined by winding roads that few holidaymakers seem to explore. Without the hospitality of good and generous friends, we would never have experienced this slice of paradise. But there’s no doubt that our time in Cabrils changed us forever, in part because it wasn’t a fleeting visit. We were able to spend a few weeks under Spanish sun; absorbing and even participating in village life; relaxing along the sparkling beaches of the Mediterranean coastline and catching commuter trains to Barcelona to explore the sights and sounds of one of the world’s great cities. Read about our adventures in Barcelona. And, above all, we were able to soak up and admire the ancient and marvellous Catalan culture. Our ‘oops moment’ came soon after we arrived at a Cabrils tavern to find that our handful of Spanish words didn’t help us read a menu written in Catalan. We wanted only a burger and beer, but simply couldn’t identify any of the meal options. Luckily, the frustrated waiter – who looked a little like Manuel from Fawlty Towers – scurried away to find the local Mayor, who spoke faltering English and was able to help us. Unfortunately, we hadn’t heard of translation Apps, which would have made things so much easier. Despite this faltering start, we quickly fell in love with Cabrils and its people. Whether wandering the tree-lined village streets to buy fresh food; raising glasses in the tavern while watching FC Barcelona; exploring castle ruins; catching the bus to and from Villassar de Mar; joining the locals for mid-morning coffee; or wandering through the cobblestone heart of Cabrils, it was a special time in our lives. We were accepted by the villagers – sometimes with smiles, shrugs and quizzical looks – but they made us feel welcome as we intruded into lives that were a world away from our own. It helped that we were already dedicated FC Barcelona fans – a group described by one man as “beautiful people” – but the warmth shown by both our hosts and the Cabrils community was humbling. Read more about our dedication to FC Barcelona and football in general. We revelled in the Spanish tradition of a long lunch followed by an afternoon siesta, although the first couple of lunches – with their multiple courses – left us barely able to rise from the table. No wonder they tend to have little more than tapas in the evening – and late in the evening at that. We spent lazy days exploring the hillsides around the village and gazing in awe at the blue waters of the Mediterranean spread out before us. At times, we caught a train north along Spain’s oldest railway line towards France, stopping at the ancient Roman settlement of Mataro. The railways of Catalonia are modern and easy to use. We found that ticket sellers spoke good English and directions around the stations were straight-forward and simple to follow. The trains were always on time and were comfortable, fast and reliable. At Matero, we wandered through the seashore area known as La Ribera, across the modern sector to the older Moorish walled settlement which – like Cabrils – runs up a hillside. There were lots of quaint narrow alleys in the older area, along with the the elegant 12th Century Basilica de Santa Maria del Mar. Unfortunately, the basilica was temporarily closed for renovations, but we were able to snap this photo from outside. On another day, our host, Gert, drove further north along the winding Mediterranean coast to the town of Blanes. During Roman rule, this area was named Blanda or Blandae. It is known as the ‘Gateway to the Costa Brava’ and has a modern and bustling port and some great coffee shops down near the waterside. While exploring the slopes of Cabrils, we came to a fence and doorway leading into the local cemetery. Hesitant to enter, we finally ventured inside with reverence. And we are pleased that we did. As well as the obvious care that the cemetery receives, we were also taken by the splendid architecture inside this sacred area. Like everything else we came across in Catalonia, the cemetery showed great attention to detail and great respect. Our visit to Cabrils left an enormous impression. We not only recommend you visit this wonderful area on the fringe of Barcelona – but also, if at all possible, take the time to immerse yourself in the life, culture and traditions of Catalonia. These are, we’re sure, the type of experiences that a person remembers on their deathbed. You’re never too old for the magic of a carousel. Carousels are particularly ingrained in European culture and we’ve seen some beauties in France; the United Kingdom; Denmark; Germany; Italy and Catalonia. They also remain popular attractions in Northern America and Australasia. Known as ‘roundabouts’ or ‘merry-go-rounds’ in many countries, the carousel was first developed as a cavalry-training device in Europe and the Middle East. Knights would gallop in a circle while tossing balls from one to another – which doesn’t sound easy. By the mid-19th century the platform carousel was developed; the animals and chariots were fixed to a circular floor that was rotated by an operator or a team of horses. The steam-powered mechanical roundabout is believed to have appeared about 1861. These days, carousels come in all shapes and sizes, which is all part of the appeal. For example, Tivoli amusement park, at Copenhagen, Denmark, boasts one of the world’s tallest swing rides in the ‘Star Flyer’ – or Himmelskibef – an 80 metre (260 feet) high carousel that provides commanding views of the city centre. The ‘Star Flyer’ recently celebrated its 10th birthday. Carousels are numerous in France. We found many scattered across Paris. Probably the most striking setting is the Eiffel Tower Carousel, on the Champs de Mars – a green park that runs down to the Eiffel Tower. In the magnificent city of Florence, Italy, a superbly restored wooden carousel is a highlight of the Piazza della Republica. This is the antique carousel of the Picci family, which has operated the ride for four generations. On our last visit to London, we were delighted to come across a traditional carousel on the Thames Southbank, near the London Eye. Covent Garden has also been the site of numerous carousels over the years. Like the surrounding city, the carousels at Sould Park amusement area in Barcelona are boldly designed and adorned in bright colours. In Berlin, Germany, the traditional carousel has been taken a step forward with the high flying ‘Merlin’s Apprentice’ swing ride at Legoland in Potsdamer Platz. We didn’t test ride this one, but it sure looks spectacular – especially for the young. One of the most striking carousels we’ve seen holds pride of place in the Darling Harbour entertainment precinct at Sydney, Australia. Horses for this rare Edwardian carousel were carved in London in about 1885 and the steam engine was made about seven years later at Norwich, England. Imported to Australia, the carousel was given a galloping motion in about 1910 and became widely known for its appearances at country fairs and agricultural shows throughout the 1920’s and 1930’s. One of the highlights of wonderful Central Park, in New York City, is the Michael Friedsam Memorial Carousel, that dates to 1908. This indoor attraction is one of the biggest carousels in the US. While discussing carousels with friends in the US, we were told about a jet-powered attraction that was given a test run several years ago by the Madagascar Institute, an arts collective based at Brooklyn, New York City. Apparently, the aim was to fit jet packs on the backs of each user, stand clear – and hope. Our friends were unsure how well it worked, but the idea certainly took the ancient carousel to new heights. Barcelona is an awesome city – and football fans the world over are drawn to Camp Nou, the city’s famous stadium. We were fortunate that our visit to Europe biggest stadium came as plans were being announced for a dramatic upgrading designed to create a futuristic and exciting facility. Expected to cost €420 million, the new Camp Nou will have covered seating for 105,000 spectators and a new, steeper first tier to improve the view of the action. As well as the hallowed turf that has hosted numerous senior international matches, the stadium currently includes a memorabilia shop; training pitches; a chapel; and the FC Barcelona Museum, which is said to receive more than 1.2 million visitors a year. During our visit, we were in awe at the FC Barcelona trophy-room, which contains shelf after shelf of silverware – every trophy, or a replica of every trophy that the club has ever won. Naming rights sponsorship for the new stadium is expected to bring in €200 million for the Barcelona club – which will cover a third of the cost of the renovation. At the mention of bold and colourful Barcelona, thoughts turn to the architecture of Antoni Gaudi. The instantly-recognisable fingerprints of Gaudi are all over this wonderful city, not the least being his unfinished masterpiece, the Sagrada Familia church. But, there is also a lot more to the face of Barcelona, where the old and the new blend to create a remarkable atmosphere. The city’s streets boast eye-catching traditional buildings, sometimes almost side-by-side with modern structures that, in turn, draw inspiration from the past. You’ll marvel at the colourful Casa Bruno Cuadros, which used to be an umbrella shop and has particularly delicate wall decorations. It was built in 1858 and remodelled with the current facade in 1883 by Josep Vilaseca Casanovas. This striking building stands at the bottom of the Ramblas, in front of the Christophe Colombus Column. In its Mediterranean surroundings, the army headquarters is one of several stately buildings in the in the Portal de la Pau square. Originally built in 1887 as a grand residential mansion in the heart of Barcelona, this building was converted into a theatre in the late 1930’s. The architect for the conversion was Rodriguez Lloveras and the first performance in 1941 lasted for four days and celebrated the end of the Spanish Civil War. In 1960, the theatre was converted into a cinema and three decades later, it became a five-screen complex. Externally it hasn’t changed and is still an imposing building on a prime location in the heart of Barcelona. Internally it’s five screens have the latest technology. This modernist building was designed by Lluis Domenech i Montaner in 1902 on Barcelona’s top shopping street, Passeig de Gracia. Casa Lleo i Morera contains the upmarket store of luxury clothing and assessors brand, Loewe. Although not in a stately building, Barcelona’s La Boqueria Market, or Sant Josep, dates back to 1217, when tables were apparently installed near the old city gate to sell meat. The markets lead to a series of quaint alleys, such as this one that leads to Bacardi Palace, a Colonial property built in the 1850s and housing centrally-located apartments. Many of the modern buildings in Barcelona clearly show the influence of Antoni Gaudi. The wavy lines of this structure certainly stand out from its surroundings. However, to the untrained eye, this design appears to owe much to one of the city’s most famous buildings, Gaudi’s famous Casa Mila – popularly known as La Pedrera. Soon after leaving the airport at Barcelona, – at the very gateway to the city – you are faced with a sight remarkable even in eye-opening Catalonia. 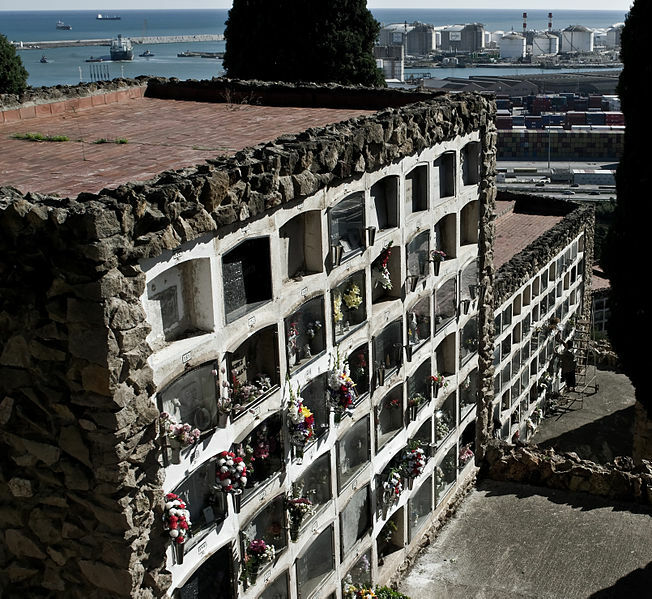 Winding up the side of Montjuic Hill, overlooking the sea and looming above the Barcelona cargo port is a huge cemetery – much of it built in the sepulchral style with coffins above ground stacked up to eight high in big communal graves. Cementiri de Montjuic covers an astonishing 56 hectares on the seaward side of the hill, below the 375 year old former fortress, known as Castell de Montjuic. Opened in 1883, the cemetery contains about 150,000 burial plots, niches and mausolea. It is a striking sight and has become an attraction for visitors, much like the Cimetière du Père-Lachaise in Paris, France and Highgate Cemetery in north London. In each case, the necropolis has become an invaluable gallery of what is referred to as ‘funerary art’. At Barcelona’s Cementiri de Montjuic, architects, sculptors, stained-glass artists and other craftsmen contributed, through the years, to creating beautiful examples of funerary architecture and sculpture. There are magnificent neo-Gothic mausoleum; eye-catching statues; large family vaults reflecting many architectural styles; and the walls or sepulchral niches, where the coffins rest above ground. As you walk through the Cementiri de Montjuic, it is like strolling through a miniature city cloaked in silence. In fact, much of the cemetery is built to replicate the layout of Barcelona’s Eixample district. Famous people at Cementiri de Montjuïc include former president of the Catalan Government, Francesc Macià; musician and composer, Isaac Albeniz; architect, Ildefons Cerdà; founder of FC Barcelona, Joan Gamper; and renowned painter and sculptor, Joan Miro. At the administration office by the main entrance, you can get route plans to help you see the notable historical and artistic sections of Cementiri de Montjuic. It is open daily from 8am to 6pm. Is this the most quirky Christmas tradition ever? 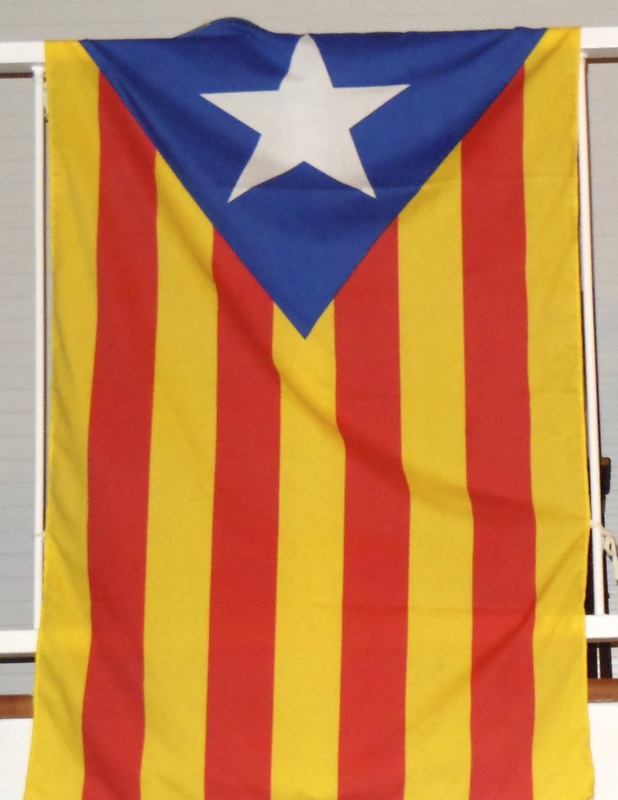 The Catalans have a general quirkiness that nicely complements their warmth, humor, passion and intense nationalism. Take, for example, the tradition of ‘El Caganer’. Each Christmas, when Catalans prepare a Nativity scene in their home or business, Mary, Joseph, baby Jesus and the shepherds are not the only figures on show. There’s also ‘El Caganer’, a little man squatting down and – there’s no delicate way of saying this – answering a call of nature. The ‘Caganer’ has been a part of Catalan Christmas mangers for at least two centuries. But, we were also told that the little man was a not-so-subtle reminder that all people are created equal. And yet others said the tradition was just an example of the fact that Catalans are ‘different’ to their fellow Spaniards – and like it that way. The last two explanations may tell us why the ‘Caganer’ is sometimes dressed like world leaders or even revered sporting heroes. Regardless of the origin, it is generally agreed that El Caganer (literally ‘the pooper’) has been doing his business in Catalan mangers for centuries. Then there are the Castellers. On special holidays, groups of Catalan people gather together to climb on each other’s shoulders and form a massive human ‘tower’. In some cases, these towers rise for seven stories – or higher. The Castells are a source of great pride for the Catalan people. They believe the construction of the human castles is indicative of the Catalan people’s ability to work in teams, persevere, endure suffering and, ultimately, to succeed. A more sedate tradition is ‘Pan Con Tomate’ (Bread with tomato). This Catalan speciality involves scraping a tomato and clove of garlic on lightly toasted bread, followed by a dribble of olive oil. The ‘Pan Con Tomate’ is often served as a separate tapas, but is a traditional opening dish at the well known Sunday family feast in Catalonia. Each of these traditions has developed as part of life in a very special part of the planet. Is ‘El Caganer’ the most offbeat tradition you’ve encountered? If not, we’d sure like to hear about others.